Whether it’s a replacement part or an engine tune-up, you’ll find us prepared to provide complete solutions. When you’re dealing with a diesel repair, you already know that it’s not likely to be an easy fix. The best thing you can do is bring your truck in to us at Eller Diesel Truck & Trailer Repair for the solutions you need to get your heavy-duty or semi-truck going again. We offer complete diesel repair services for our customers, and you may even find that some other local companies send work to us when they don’t have the ability to do it themselves! We have the tools, the team, and the capability to provide you with diesel repair that will keep your equipment on the road for the long haul. Diagnostic – First thing’s first, we start with a thorough diagnostic. Because you’re dealing with unique equipment like a diesel engine or hydraulic brakes, it’s important to know exactly how to get to the root of the problem. 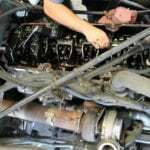 We’ll make sure we know where to start to provide diesel repair. Repair – Once we’ve got a handle on the problem, our next step is to provide fast, efficient repair services that get you back out on the road as quickly as possible. Whether it’s a replacement part or an engine tune-up, you’ll find us prepared to provide complete solutions. Maintenance – We always say that preventative maintenance is the key to having a trustworthy vehicle. Even if you initially come to us for diesel repair, you can always come back any time you need maintenance servicing for your heavy-duty equipment. 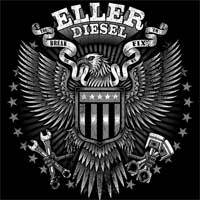 At Eller Diesel Truck & Trailer Repair, we’re proud to be a long-standing and trusted business in Salisbury, North Carolina. Contact us today to schedule your repair services.